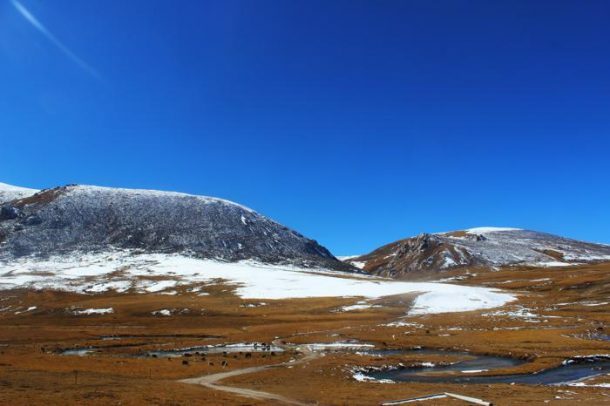 With the tail end of autumn already in sight, and winter now on its way on the high Tibetan plateau, now is the time to book that stunning Tibet winter tour. Winter in Tibet is the low season for tourism and is a great time to travel to the plateau if you are working on a budget. There is no doubt that Tibet is one of the more expensive places in Asia to visit, considering most of the Asian countries with big tourist industries are third-world countries that are cheap to travel in. Tibet has a requirement that all travelers be on an organized and pre-booked tour with a registered tour operator, so the cost of having a private vehicle, guide, and driver can easily drive up the overall cost of the tour. While traveling in one of our Small Group Tours with other like-minded travelers can reduce the overall cost of your trip to Tibet, the summer peak-season months are still the more expensive time of year to travel, with higher costs for flights, train tickets, accommodation, and just about everything else you might need. Even the attractions often have different prices in the summer than in the winter. However, with winter being a time of few tourists, all of these things are reduced, including the cost of the tours, to help bring in more tourists to the region during the slow period. Traveling to Tibet can also be expensive in the summer, but in the winter, prices are much lower, allowing even the flight from China to be affordable for almost anyone. The option of traveling by flight or by train is one that is not always available for budget travelers throughout most of the year. While the flight is faster than the train, at least by more than a day, the trains are the cheaper option for traveling to Tibet from all of the seven gateway cities across China. Look at any of the websites that promote tourism in Tibet, and they will promote the train as “the best option for budget travelers” and the “best way to acclimatize on the way to Tibet”. While the first statement is true, to some extent, with trains being the cheaper option, the second statement is completely false and misleading to tourists that have never been to the plateau. Trains have oxygen systems to keep the oxygen levels higher than sea level for the entire trip, so acclimatizing to the oxygen-scarce air that you will find on the plateau is not possible. In order to acclimatize, your body has to spend at least one-day breathing air with a much lower oxygen level than sea level. Normally, in the peak season for tourism in Tibet, the trains are renowned as being the cheapest option for traveling from mainland China to the high-altitude plateau. However, in the winter months, from December to January, this is not always so, and there are trains from some of the seven gateway cities to Tibet that turn out to be more expensive by far than the flight from the corresponding city. The train from Guangzhou is always cheaper than the flight, mainly due to the distance from Tibet. Lying in southern China, just a little way to the northwest of Hong Kong, Guangzhou is one of the more expensive departure locations when it comes to flights to Tibet, even in the winter. That also has something to do with there not being a direct flight from Guangzhou to Tibet, the only flights being routes as connecting flights through Chengdu, Guiyang, and Chongqing. However, while the flight is still more expensive, there is very little difference, with flights costing from as little as US$ 168 and trains costing from around US$ 124 for the second-class hard sleeper option. Shanghai is another departure location for the trains to Tibet that does not have any direct flights to Tibet, which makes it more expensive to travel by flight than by train. The cheapest option for the train costing from around US$ 114 for the hard sleeper berths (it is not recommended to use the hard seats for trips to Tibet, as they can get uncomfortable over the long journey’s to Lhasa), and the first-class soft sleeper berths costing around US$ 181 per person. The only direct flight to Lhasa from Shanghai costs from US$ 497 per person for an economy ticket from China Eastern. However, the indirect flights, which connect through Xi’an, Chengdu, and Chongqing, work out only a little more expensive than the trains, with the lowest-cost indirect flight being around US$ 185 per person. If you were hoping for cheaper direct flights to Lhasa from the Chinese capital, Beijing, then you are out of luck. While there may only be one direct flight per day from Beijing to Lhasa, which costs from around US$ 521 for an economy flight, even the indirect flights are not close enough to the cost of a train ticket to Lhasa to make them worthwhile. The cheapest flight from Beijing to Lhasa, on an indirect route through Chengdu, still costs around US$ 220 per person, while the more expensive first-class option on the trains is just US$ 164 per person and only US$ 103 for the hard sleeper berth. It may take 36 hours to get to Lhasa by train, but it is still much better than paying the higher cost of the flight. AS strange as it may sound, Lanzhou is not one of the departure locations for Tibet that is cheaper by flight in the winter. With no direct flights to Tibet from the Lanzhou Zhongchuan International Airport, there is only the option of the costlier indirect flights, which fly to Lhasa via Chengdu or Chongqing. With prices starting at around US$ 151 per person for an economy flight, the trains beat the flights’ hands down, at just US$ 118 for the soft sleeper and US$ 75 for the hard sleeper. If you are looking for the cheaper flights from Xining to Lhasa, then you will be unpleasantly surprised to learn that the start of the Qinghai Tibet Railway has cheaper train tickets than flights. While it is not by as much in the winter months, a mere two dollars, it is still more expensive, and there are only two direct flights per day, with the indirect flights being a lot more expensive. The direct flights cost from US$ 114, while the soft sleeper train cabins cost just US$ 112, and the hard sleepers just US$ 71. Take the train for the stunning views, unless you are in a hurry. 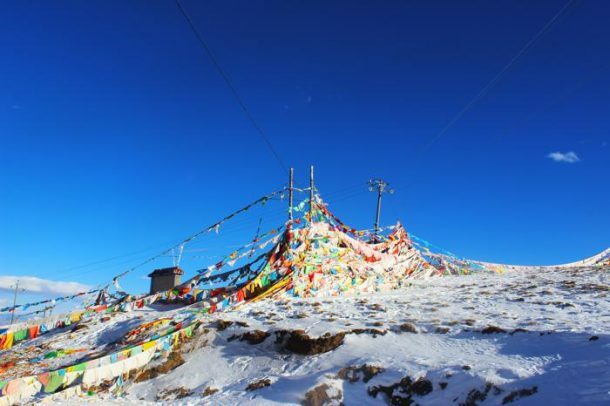 While there are locations that still cost more for a flight than for a train ticket, there are also those places where, in the winter months, you can actually get a flight to Lhasa for less than the cost of the train ticket. This is largely thanks to the fact that few Chinese tourists travel to Tibet in the winter months, and just like most airlines, there are major discounts for off-season flights. Chengdu is one of the most popular locations for traveling to Tibet by either flight or train, and with more than 14 daily direct flights to the Tibetan capital, it is also one of the easiest places from which to get a flight to Tibet, even in the peak season for Tibetan tourism. While the trains to Tibet from Chengdu cost around US$ 146 for the soft sleeper berth and US$ 90 for the hard sleeper berth, flights to Lhasa from Chengdu Shuangliu International Airport are a lot cheaper in the winter months. Offered by Sichuan Airlines, Air China, Tibet Airlines, and Chengdu Airlines, flights to Lhasa in the winter can be booked for as little as US$ 64 per person for an economy one-way ticket. Trains to Tibet from Chongqing are one of the fastest routes to Tibet by railway, and while it only takes around 35 hours to get there, it does still cost around US$ 142 for the soft sleeper berth and around US$ 90 for the hard sleeper berth, which is no different than traveling from Chengdu. So, it should come as no surprise that flights from Chongqing to Lhasa are also cheaper than the trains. With around seven direct flights to Lhasa every day, you can book a flight to Tibet from Chongqing for as little as US$ 58. A little cheaper than Chengdu, so worth getting the cheaper flight from Chongqing instead. Xi’an is not one of the seven gateway cities to Tibet, but since the trains from Guangzhou and Shanghai pass through the city, you can get the train from there, though only in the low season. However, with the three-hour flight costing from as little as US$ 87 for the economy ticket, while the train costs US# 139 for the soft sleeper and US$ 87 for the hard sleeper, you would be foolish to pay the huge difference for taking the train if you are on a budget. Which means you can spend some time visiting the famous Terracotta Warriors before you fly to Lhasa.